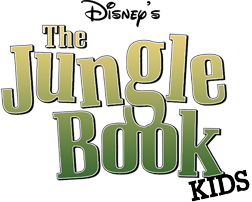 Tickets for the three public performances of The Jungle Book Kids are on sale now (restrictions have been lifted)! Click HERE to purchase reserved floor seat tickets ($7.50 each). Limited bleacher seats will be available at the door prior to each show for $3/ticket. Doors open for audience members 20 minutes before start of show. The show runs under 45 minutes with no intermission. * Floor seats for the Saturday night (CAST A) show are nearly sold out. If you have a CAST A K-3rd grader and did not yet purchase tickets please email thebishopplay@gmail.com and we will try to reserve bleacher seats for you. * Families may purchase as many tickets as they wish for all shows. Transactions on the website are limited to 4 tickets but you may make as many transactions as you like. * Seating Accommodation: If a member of your group needs special accommodations (wheelchair, etc.) please contact House Lead, Shannon Knuth (shannon.knuth@gmail.com) directly for ticketing.